With over 10 years of experience in supplying the highest quality ID SOLUTIONS to customers~throughout the UK, ID SUPPLIES are ideally placed to fulfil whatever your ID requirements may be. We offer a complete one stop shop to customers including NHS, Local and National Government, Universities and Colleges, The Emergency Services and Blue Chip Companies. The Bureau service enables you to purchase high quality Staff ID Badges, whether you employ 1 or 1000 staff, wit colour photos and your company logo included. Combine these services with our security, and you really will find everything you require at ID SUPPLIES. 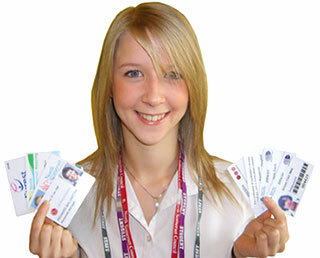 Whether you employ 1 or 1000 staff, our complete bureau service can provide you with high quality staff ID Badges. These can include full colour photos of your staff, your company logo, name and job title and expiry date as required. You can either email or post us your specification and photos, or we can (if practicable) visit your premises to take photos. Please feel free to call or email for more details.